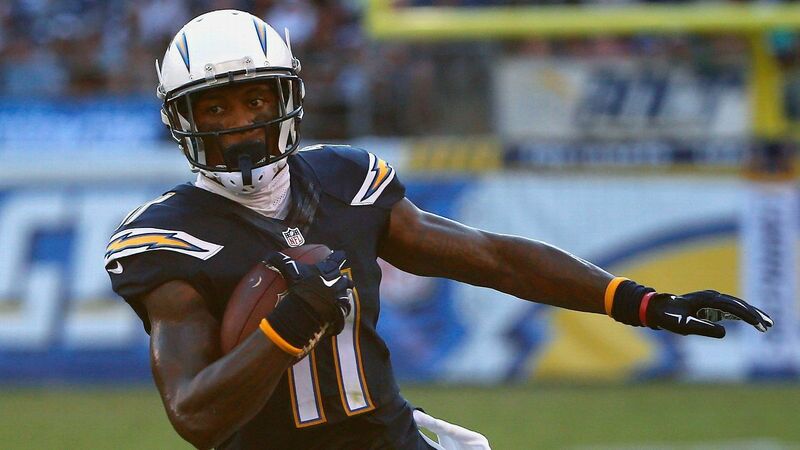 SAN DIEGO — After having surgery this week to repair a torn meniscus in his right knee, San Diego Chargers receiver Stevie Johnson will need a lengthier rehab process that will prevent him from playing this season, according to ESPN NFL Insider Adam Caplan and multiple reports. A team spokesperson declined to confirm that Johnson is done for the year. The NFL Network first reported news of Johnson’s timetable. Johnson suffered the injury on the third day of training camp. After he made a diving catch, he got up and twisted his knee as he worked to get up the field. Johnson immediately went down in pain and had to be helped off the field to the training room. Signed last year to a three-year, $10.5 million deal, Johnson is scheduled to make $2.9 million in total, non-guaranteed compensation in 2016. The Chargers’ placing Johnson on the injured reserve list would guarantee his 2016 salary. Johnson missed six games due to hamstring and groin injuries last season. He finished with 45 receptions for 497 yards and three touchdowns. Johnson has not played a full 16 games since 2012. In anticipation of Johnson being done for the year, the Chargers signed veteran receiver James Jones. Second-year pro Tyrell Williams has been getting more work with the starters with Johnson out. Johnson, 30, was penciled in to serve as San Diego’s No. 3 receiver, mainly working in the slot with Keenan Allen and Travis Benjamin on the perimeter. All but 28 of Johnson’s 497 snaps from last season came in the slot. With Johnson out, the Chargers could look to use Allen as an inside receiver more often, along with Williams and Dontrelle Inman. 2018 Fantasy Football Draft Prep: How does Antonio Gates' return impact rest of Chargers? Drego is a 4 columns magazine style free WordPress theme that suitable for news or portal blog site. The theme is fully tested and compatible with latest WordPress 4.3 and it is also supported BuddyPress, Woocommerce and BBPress. With Search Engine Optimize in mind, the theme packed with built in SEO Schema data markup and passed Google snippet test.